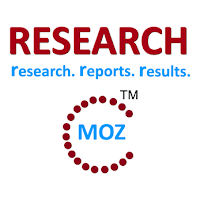 ALBANY, NY, JUNE 2015 -- ResearchMoz.us includes new market research report " Purchasing Trends and Intentions in Mining in North America, 2015: Global Industry Size, Shares, Growth, Analysis, Summary, Trends and Forecast" to its huge collection of research reports. The survey is based on responses from 101 senior managers and decision makers at North American mines, responsible for the purchase of equipment for plant within mine operations, along with its consumables. Survey respondents came from either Canada or the United States. This included 4 different commodity groups and a range of surface and underground mining operations. Future trends in expenditure and expectations for increased or decreased spend in four areas: plant and heavy equipment, equipment parts and components, explosives materials, and maintenance services. Current methods for acquiring equipment, with a review of outright purchasing, rental, leasing and other types of financing arrangements. An analysis of future changes to the number of supplier relationships, and whether respondents expect greater or fewer supplier relationships over the next 12 months. Investigation into the biggest challenges facing buyers and decision makers in sourcing the right products. The extent to which preferred supplier arrangements are in place and predictions for increased centralisation of procurement. Plan ahead based on general expectations within the North American mining industry for future expenditure, and how this varies by segment, such as mine type, commodity, company size and region. Understand how different customer segments in the North American mining industries Plan to rationalise or extend their supplier networks. Understand where decision making is made, be that at either the mine site or corporate head office. Outright purchase is the most common purchasing method. Some 69% of respondents nominated outright purchase as the method they use for heavy mining equipment. This was the dominant method of procurement, with all other methods being used by fewer than 27% of respondents in each case. 67% of respondents identified that their biggest challenge when sourcing products were factors related to supplier attributes and capabilities, such as the availability of spare parts and dealing with remote locations. In North America, the majority of decisions are still made at the mine site, accounting for around 65% of all final decisions. Over 28% of respondents expected more centralization of purchasing decisisons over the next two years. Some 55% of respondents indicated they had a preferred global supply agreement, and when responses were broken down by type of purchase covered by the preferred supplier, trucks dominated.